Nintendo has announced that its Global President Satoru Iwata will be taking over as American CEO, while also continuing his current duties. 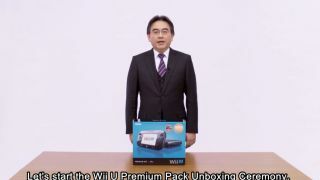 Iwata has become a more prominent face for Nintendo in the last year, featuring in a number of recent Nintendo Direct presentations and showing off a more playful side to his otherwise corporate image. Nintendo told TechRadar: "Mr Iwata is making a point of visiting NCL subsidiaries in the western world, frequently in person, and NCL and its foreign subsidiaries are having frequent comminications via video conference system and other means, so there will be no issue about Mr Iwata's new responsibility. "Our managerial decision is that president Iwata should act also as the CEO of NOA." The announcement came alongside the release of Nintendo's financial report, which showed that the Wii U has struggled to take off. Nintendo sold just 3.45 million Wii Us in the last financial year, which isn't great news - especially as the console was outsold by its own predecessor. Despite that, the company remains optimistic that it can turn the console's fortunes around. Rumours are swirling that Nintendo is planning something big for E3, but we reckon the Wii U will need more than a new Super Mario Bros. if it wants a shot at remaining relevant in the new generation of consoles.